If music is gives meaning to your life, then Steelasophical Steel Band & DJ can make every big event in your life truly special. Presented by creative director Gary Trotman, the three time award winning band is considered No. 1 in the UK. 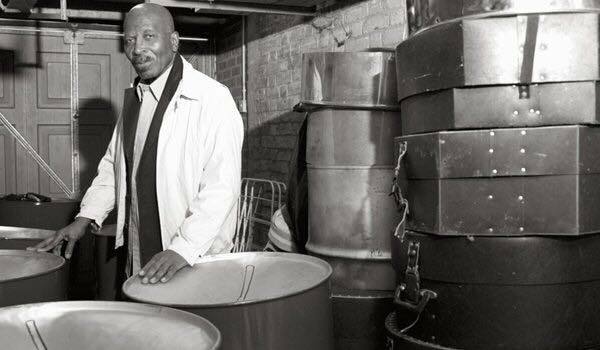 With its music appearing in a James Bond film and popular TV show Come Dine With Me, this unique combination of Steel Band and DJ has made waves. 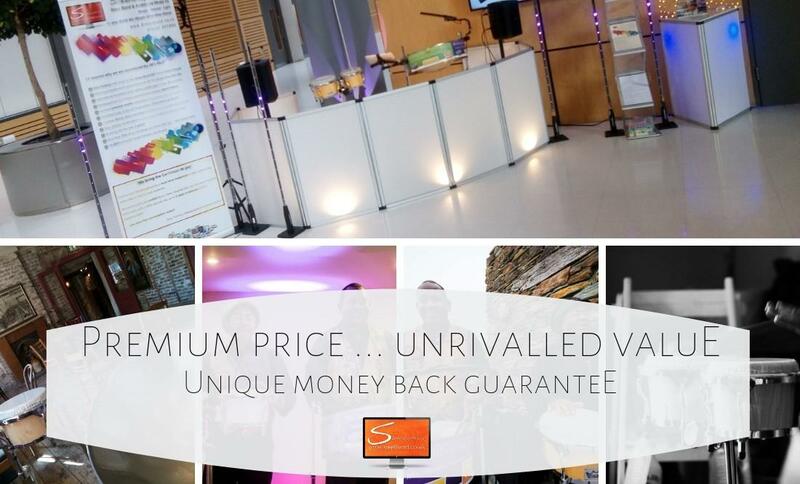 Its music has been sold in over 42 countries, and with Steelasophical Steel Band Hire options you can infuse that breathtaking Caribbean beat, rhythm and lively energy into your next event and make it a huge success. Your wedding day is arguably the biggest day in your life, and you want to share the moment with your loved ones spreading joy. 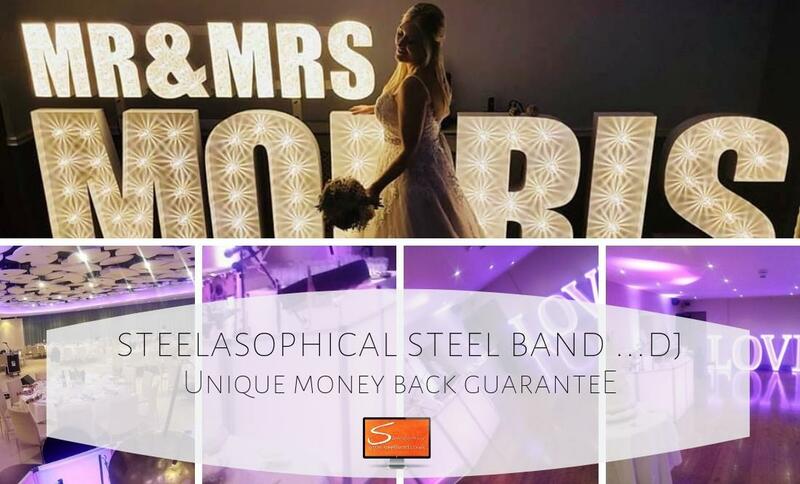 When you choose Steelasophical Steel Band and DJ for your big day, you find the best expression for your passion. The award winning, much in demand band brings together a small team of street drum and percussionists, who are at the top of their game. The steel drums meet mobile DJ style of music performed to studio quality is guaranteed to raise the tempo at your wedding. 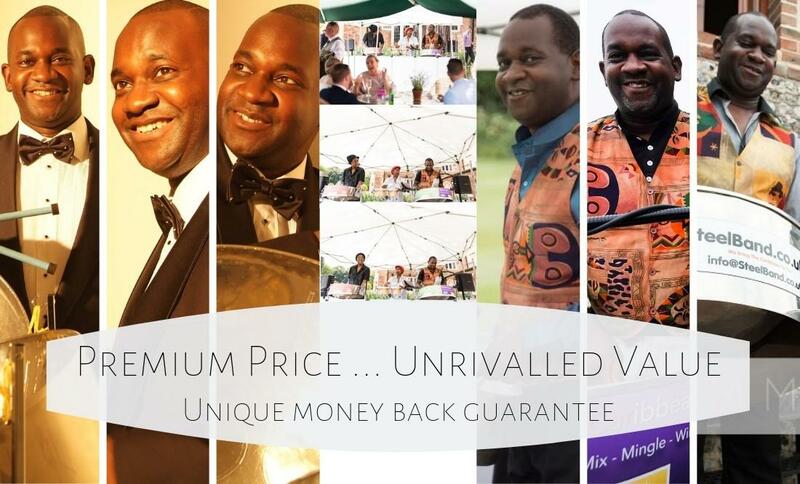 This Steel Band Hire option is what you need to start your new life on a high note. 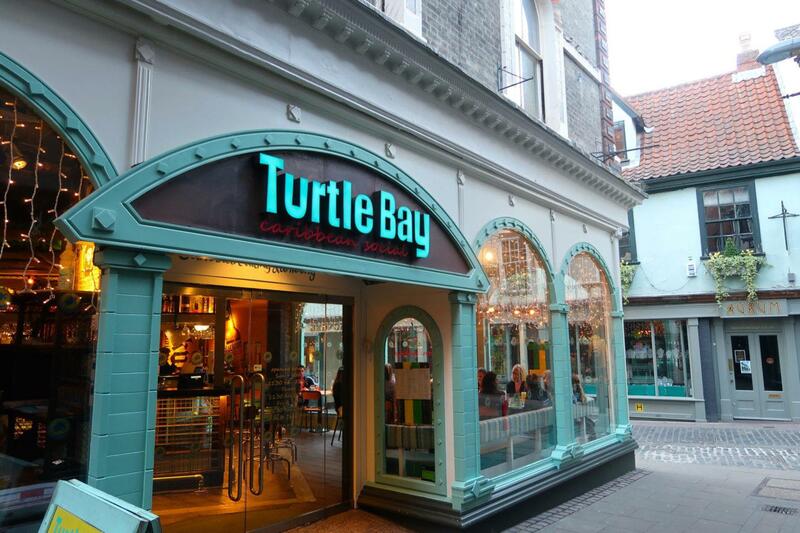 If you are looking for a Steel Band For Hire, then you don’t have to search beyond UK’s No. 1 choice. 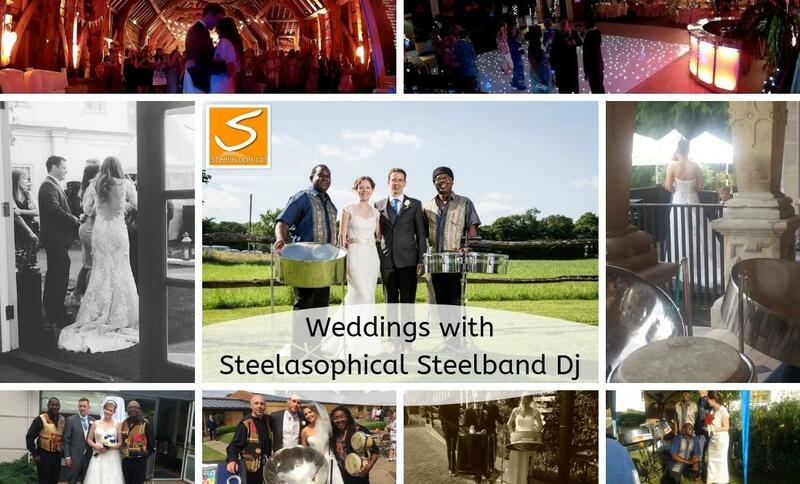 Steelasophical Steel Band brings its unique Caribbean flair to your events in an unmatched steel drums meet mobile DJ style. The band has sold music and gained popularity in over 42 countries and has won recognition for its performances in James Bond movie – Casino Royale and TV Show – Come Dine With Me. Such is the popularity of the band that its booking runs into next three years. That’s why if you want to hire the band for any event the time to start the conversation is now. 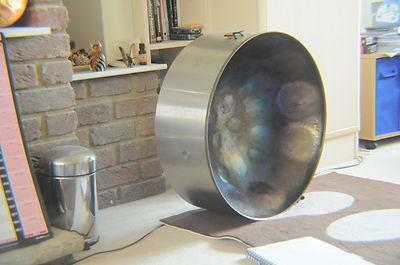 Steelasophical Steel Band presented by Gary Trotman is considered UK’s No. 1 not only for the popularity it has gained through its awards and sales across continents. 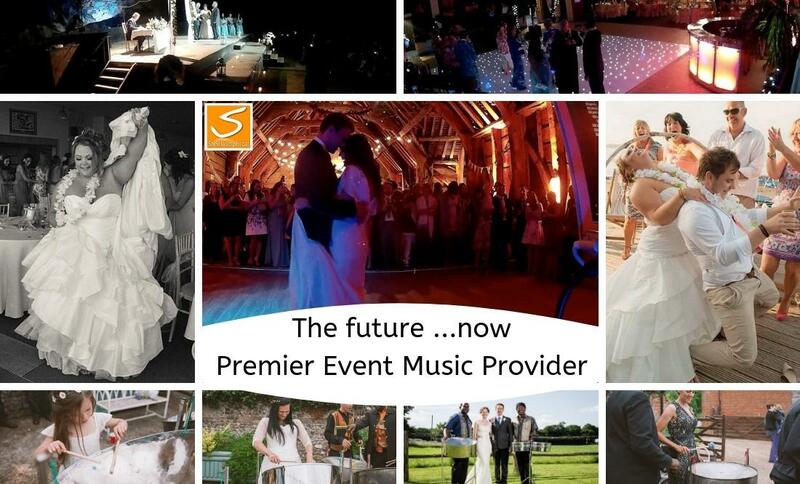 It is also because of the fact that its Wedding Band Hire service is much sought after. In fact, the band is known to turn down over 50 requests in a year because of its bookings that run up to the next three years. It’s important to remember that the band has a first to confirm policy and doesn’t hold dates. 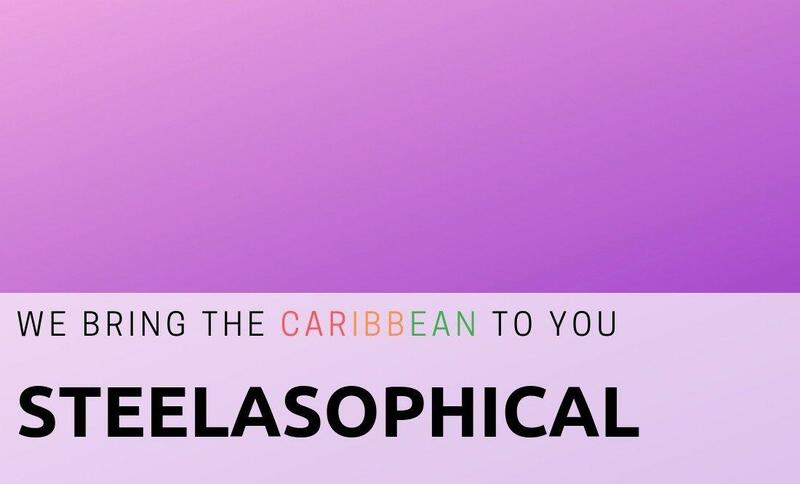 So if you want to turn your wedding day into an extravaganza with Caribbean flair, then get your booking done at the earliest. Most of us have envisioned our wedding day for a long time and we want everything to be just perfect. It’s particularly true of the fun and entertainment element, which adds life to your party. And if you want the proceedings to have that extra dollop of enthusiasm and zest then a Wedding Steel Band is just what you need. Give your guests something to remember and ensure that your day lives up to the expectations you have. 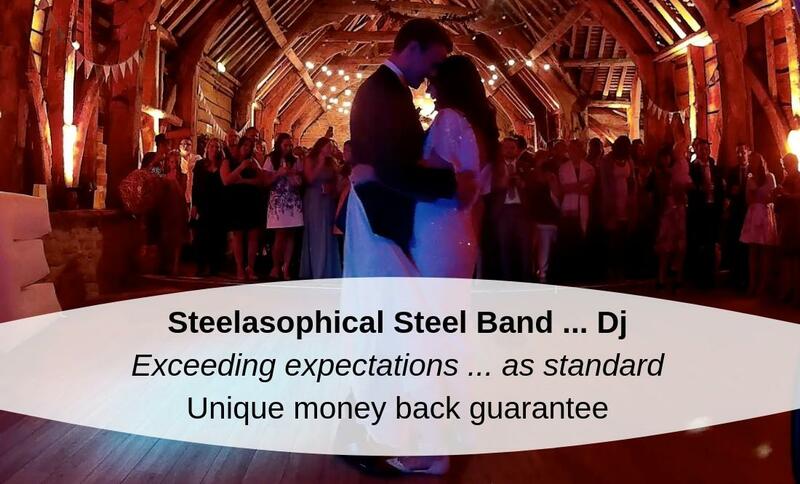 Steelasophical Steel Band is the name people all over UK have come to trust to make their big day truly memorable. You can focus on your preparations and let the band take care of all the fun. You might have planned your wedding day on the beach or on a farm, there should be no limit to the fun your guests have. 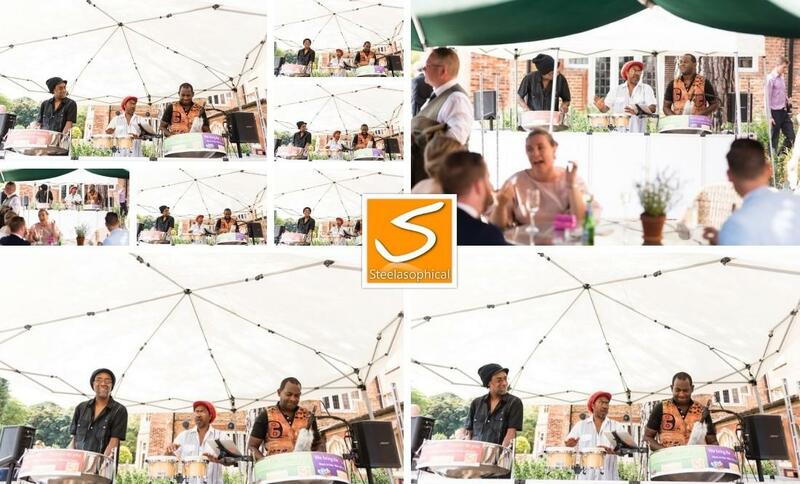 If you want to take the entertainment quotient of your party to a whole new level then Steel band Hire option is what you should be looking at. 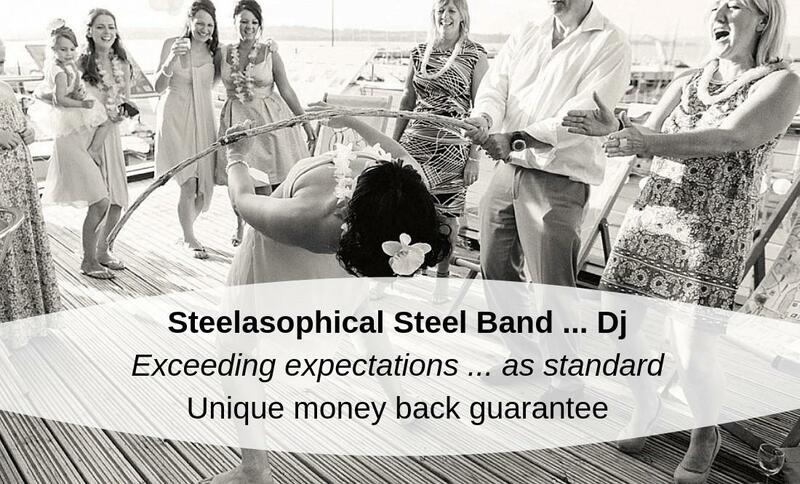 But since you want nothing but the best for your big day, Steelasophical Steel Band & DJ is the right choice for you. Presented by Gary Trotman, the band is known for its steel drums meet mobile DJ style that will win you over. It’s the kind of music that will have the whole party grooving and create memories that will talked about for long. Some of the most special days in your life just feel incomplete without the right music. If you want to make big events come alive then Steel band Music can be the perfect ally for your plans. 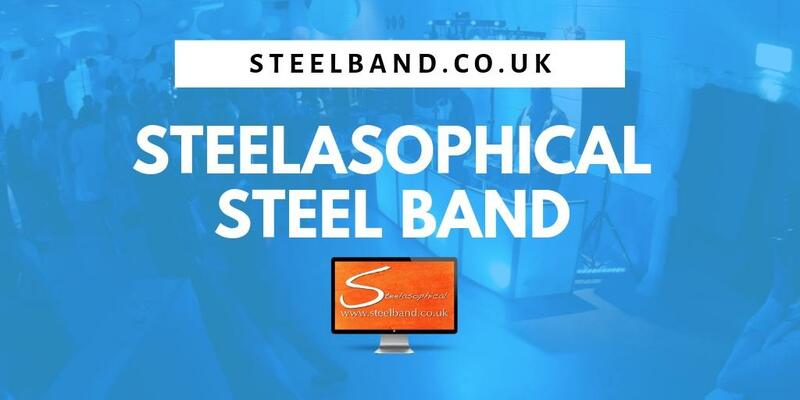 Award winning Steelasophical Steel Band is UK’s No 1 choice for practically all occasions. From wedding ceremony and reception to festivals, seminars, wake, carnivals, Caribbean theme parties and a whole lot more, the band is a popular option for various types of events. With its unique style and flair, the band can set the right ambience for every party and ensure that it is an event to remember. 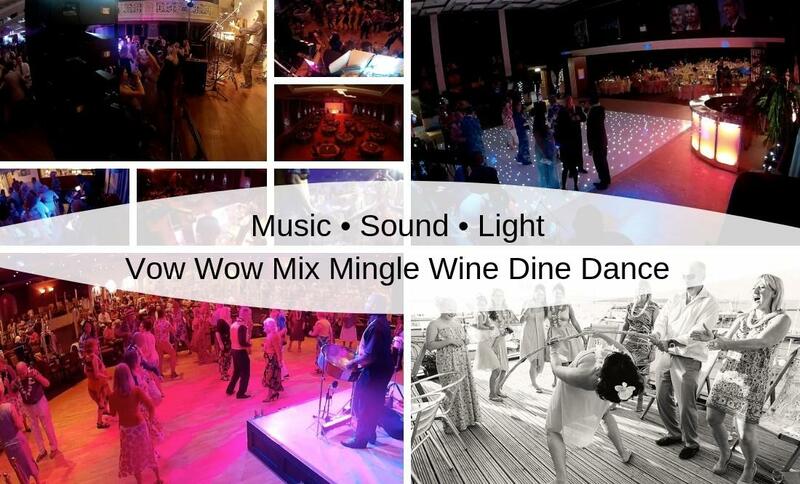 Want to turn your wedding day into a party that will remain etched in people’s minds? Are you keen on hosting an event that will be the talk of the town? 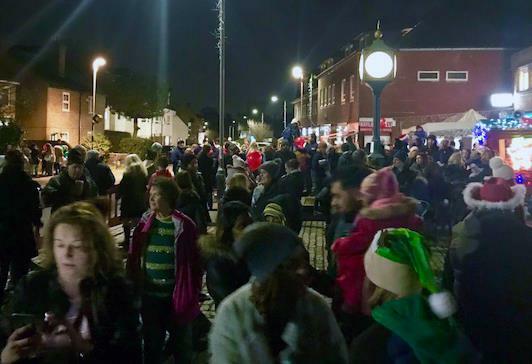 Steel Band Hire Wycombe options can be the life of the party and will win you brownie points for being the host with the most. 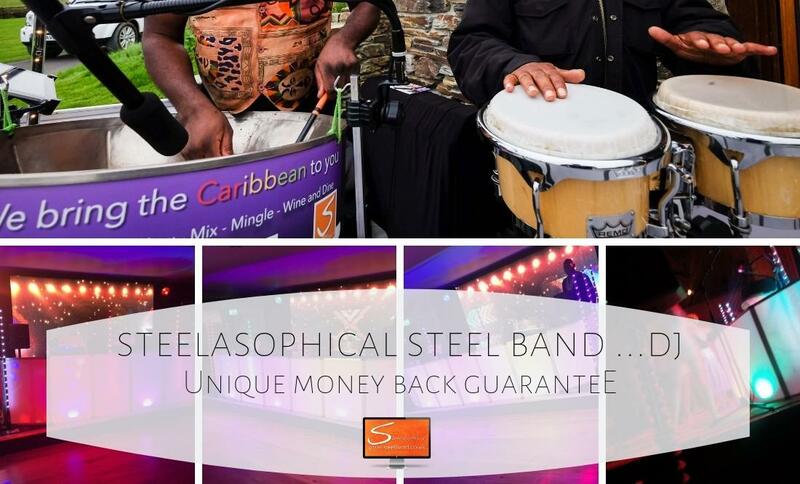 You can let Steelasophical Steel Band take on the responsibility of bringing its cool Caribbean vibe to any event you want to host. 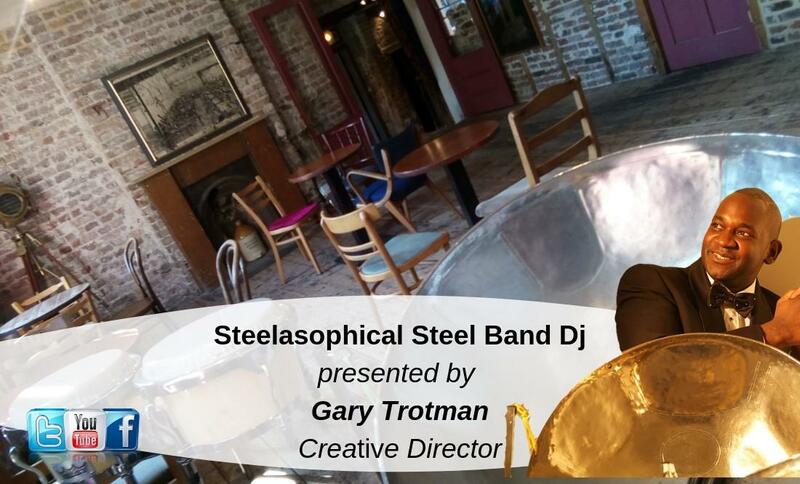 The Steelasophical steel drums and mobile DJ combination of a small team of talented artists presented by Gary Trotman will be the soul of your party. Great Fosters, the historic wedding venue has been a traditional favorite with couples. 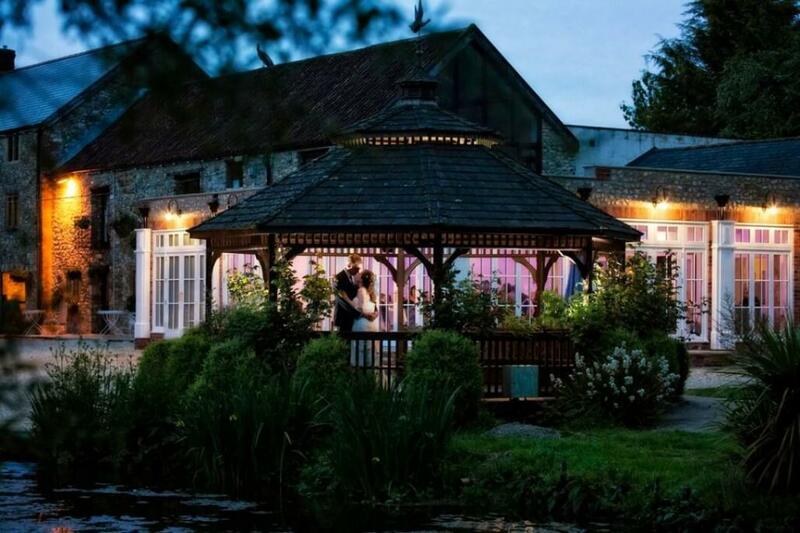 If that’s the venue for your big day then you probably want to look at Great Fosters Wedding Venue Steel Band to complement the beauty of the place and everything you have planned. 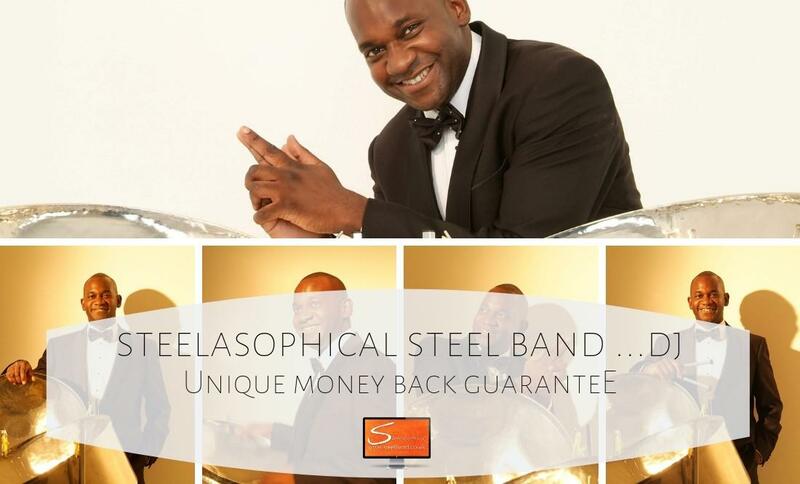 Steelasophical Steel Band presented by Gary Trotman has made its presence felt in James Bond movie Casino Royale and big events across the country. 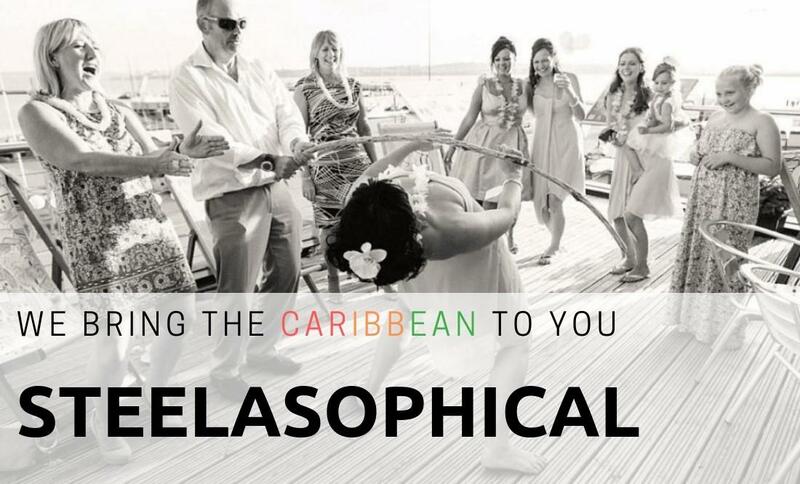 Its Caribbean style music can ensure that your guests have a fantastic time on the wedding day. 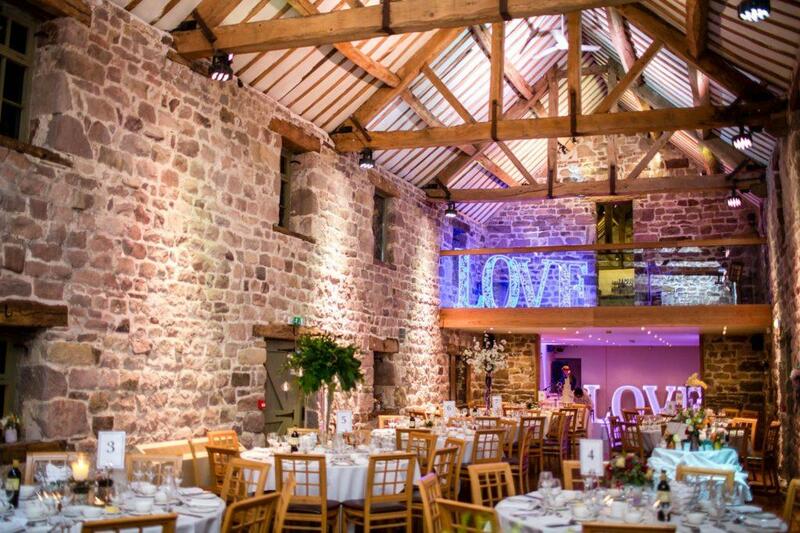 Dancing to their lively music in the idyllic venue is the recipe for the perfect wedding day. 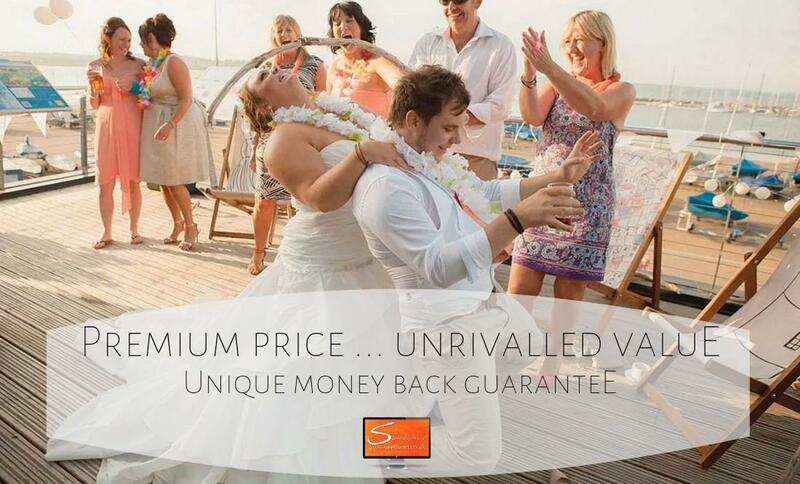 If you are planning your wedding day at Ocean Kave in North Devon, a stunning setting amidst Natural beauty then you might want to bring the special element of steel band music to it. And if there is Ocean Kave Wedding Venue Steel Band you can trust for the special day then it has to be UK’s No 1 Steelasophical Steel Band. The steel drums and mobile DJ style music performed by some of the best artists in the world is just perfect for the scenic venue. You can now make sure that your guests let their hair down and have the time of your life on your big day.